The third Plenary Session, set to the theme of ‘The Future of ASEAN’, revealed key concerns that may be of interest to policymakers. 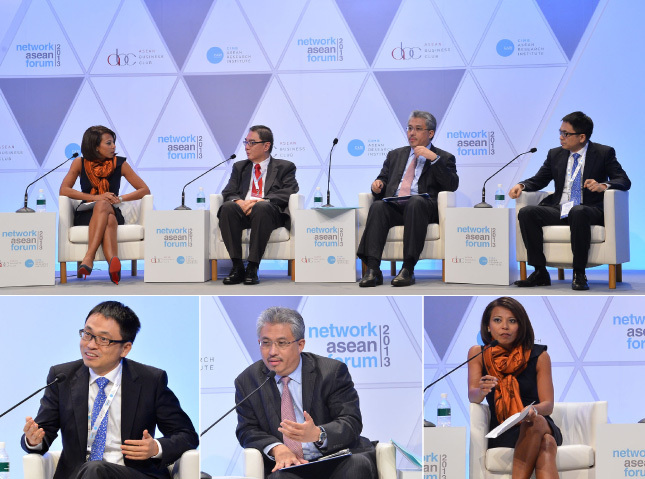 The session shone the spotlight on the chief executives of two fund houses—Zhang Lei of China’s Hillhouse Capital Management and Azman Mokhtar of Malaysia’s Khazanah Nasional Bhd—as well as Singapore’s High Commissioner to Malaysia, HE Ong Keng Yong. Each had unique experiences to bring to the table, and unsurprisingly attacked the issue from very different perspectives. Anticipating the fragmented state of ASEAN in general, Hillhouse’s Zhang said that there had to be greater continuity of policy to make the region more attractive to foreign investors such as himself. The Hillhouse CEO added that he would like to see greater entrepreneurship within the region that focussed on building talent and innovation, rather than just gross assets and capital. However, warned Khazanah’s Azman, there was a need for balance to ensure that policy did not trump private enterprise, saying that he was “not sure it’s been that difficult to do business” even in the existing fragmented regional market. The Khazanah chief noted that there was a need for greater institutional capacity in the region to ensure that integration goes ahead seamlessly, but added that ASEAN members needed to ensure that the region’s regulations “don’t get in the way of business people who know what to do”. Meanwhile, Singapore’s High Commissioner to Malaysia, HE Ong Keng Yong noted that there was a need for more regional champions—businesses of scale—to emerge to forge the way forward. He noted that the current pace of development was slow, particularly with respect to infrastructure. While almost all attention is presently concentrated on ensuring that the region’s economic integration via the ASEAN Economic Community (AEC) initiative goes through, policymakers need to look beyond 2015 when making their decisions today. Beyond infrastructure and talent growth, ASEAN will need to decide on how far regional considerations will go.